GREAT WEB SITE! Very well presented. You seem to have picked all the best of the best for Atari 8-bit's. It's nice to see this updates and fixes are they present themselves. I hope you keep expanding as additional item become reliant. My Compliments, and Well done! Thanks, I appreciate your comments. The site has been growing pretty steadily since I launched it back in January; you can view the progress on the "Update" page. I do still have plans to add much more to the site. I also plan to create several sister sites (as mentioned in the first post of this thread) that will be geared towards other A8 areas of interest. The next one in line will be the hardware-related site. As I estimate it right now, there is a lot of material to be included there, considering all the Atari and third party products produced for the system. Anyone who downloaded the "C Answer Book" that was uploaded to my website today may want to download it again, as I've expanded the bookmarks to include each individual exercise. I've updated the copy of De Re Atari on my site to be fully bookmarked. Finally had some time over the last few weeks to convert the site to a "no frames" layout. Functionally and visually the site is 99% the same. Depending on your cache settings and how recently you've visited, you may need to "refresh" some pages or clear your browser cache (to have them all refreshed) in order to view the site properly. The changes mean linking/bookmarking individual pages, as well as section/item anchors, is possible now. Also -- for those who've not been to the site recently -- I added a link table to the top of each category (a month or so ago) to make getting to page sections easier, and made some other visual changes/rearrangements. At this point, things are solid enough that I can start working on the other planned sites in earnest (time permitting), since this site will be used as a basic template for all the others. Edited by MrFish, Sat Nov 5, 2016 11:12 PM. Works better now on my Android tablet using the Chrome browser. If I recall correctly, I had some problems seeing all of the text on certain pages with the previous frames layout. The site's really looking good, and I find it very useful. That's good to know. I haven't made the site specifically friendly for other devices yet, but I'll eventually get around to having layouts for tablets and phones, and cater to various screen/window sizes on any machine. And still just HTML and CSS. BTW, I just realized that the section link table wasn't being positioned properly in IE (off the page, actually). I just fixed that. There seems to be a little inconsistency when jumping to anchors in IE though. I'll have to play around with things a bit. Firefox, Chrome, and Safari should be as intended. Edited by MrFish, Sun Nov 6, 2016 8:58 AM. I formerly was of the mind not to put Diamond GOS on my website, mainly due to the fact that the available versions were flawed and not up to the standards of the rest of the software I'm presenting. After some of the discussion yesterday (before the 3.0 sources were identified), I decided that Diamond was still worthy of high recognition because of its scope and pioneering virtues. So I put together a beginning selection of files and worked on getting some of the documentation in order (basically some unfinished business I'd started years ago). After being nearly finished last night, the information about GOS 3.0 (finally) surfaced, which made me even more enthusiastic about carving out a spot for Diamond. The initial sections and the corresponding manuals are now finished (more thorough bookmarking for the manuals later). The main manual actually belongs to GOS version 3.0 (thanks to Gunstar for verification here), but should be fine for 2.0 (it's pulled from the MS Word version of the material floating around the net that most people have anyway, but now edited and improved). Specific documentation belonging to version 2.0 maybe be forthcoming in the near future, as well as other material as is comes available and is sorted out. Edited by MrFish, Sat Dec 10, 2016 6:21 PM. Updated the GOS Manual: edited some mistakes and added a more thorough set of bookmarks. WOW!! Super job on the website. Just saw it for the first time and I'm really impressed. Sharp looking, great content, and a very nice look and feel. Thanks for such a great resource! Thanks for the kind words Redman; I'm glad you find it useful. Edited by MrFish, Sat Dec 10, 2016 10:08 PM. Edited by Umberto, Sat Dec 10, 2016 10:10 PM. 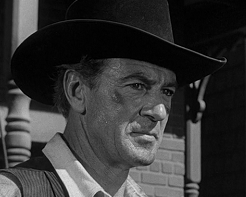 Its got to be Gary Cooper? Edited by Umberto, Sat Dec 10, 2016 10:22 PM. He's got some serious looks, that's for sure. But I tend to side with barnsey123's sentiment, since it relates more on a technical level. Another way to separate content, is to use PHP to construct your site on the fly. I actually warmed up to this idea after I lost the frames. The obvious reason being the need to edit every page in order to change, for instance, a single menu item (a great reason for using frames in the first place). It's not all that difficult, as it's just copy and paste, paste, paste, paste... But obviously you'll feel like you're wasting time when doing it. I also did some tests using iFrames to see what it would be like, and it works quite nice. The only downside is that iFrames get refreshed on new page loads, to the point that you often get flicker while it refreshes (it's hit and miss), which isn't something I really want to see. It's certainly a satisfactory option, though. What I'd like to do instead of having the pages constructed on the fly, is to use PHP or some other type of scripting to generate the pages locally, ONLY when I need to make a change. The generated pages would be uploaded to the site, and work just as they do now. I'm sure the server-side delay for generating pages with PHP isn't much at all, but then why have any delay? Edited by MrFish, Sun Jan 29, 2017 2:07 PM. Do a search for "static web page generator". I use Pelican for my site: http://gtia.com. The site is generated locally on my computer, and then I use Github's free static page hosting for the site. You can see the entire website source in the Github repo. Makes a very fast site, and doesn't cost anything to host. Thanks for the tip; I'll look into it. It looks like it's a somewhat popular technique, which is good because I won't have to home bake it. Edited by MrFish, Sun Jan 29, 2017 3:35 PM. New Resource sub-section added for Source Code. You may have to do some browser page refreshing in order to see changes sitewide. VERY, VERY nice resource set. It has everything I actually wanted to have in one place, and easily accesible.